WOMEN OF THE WALL: NO ORTHODOX ALLOWED! JERUSALEM, October 28, 2013 – Women For the Wall condemned today the Women of the Wall’s demand that the government prevent traditional women from praying at the Kotel. 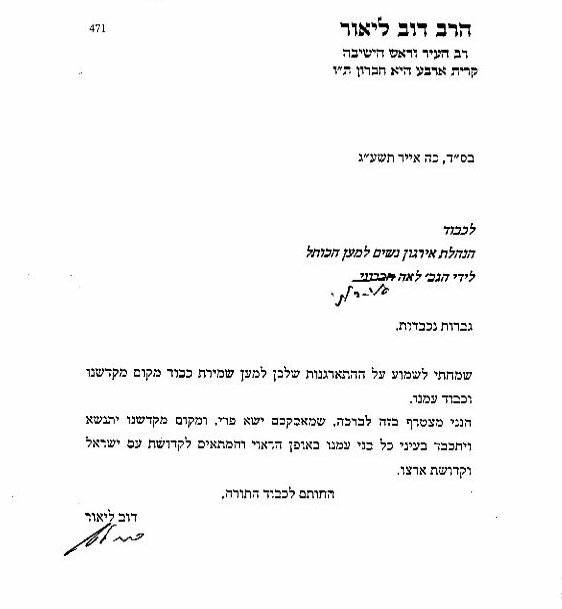 In its list of sixteen conditions for moving their Rosh Hodesh prayer to a new section, the Women of the Wall requires that, effective immediately, the government stop “ultra-Orthodox leaders who are organizing demonstrations against Women of the Wall.” This is a reference to Women For the Wall, who have brought thousands of women to the Kotel each month to show their desire that the traditions of the Wall not be changed. 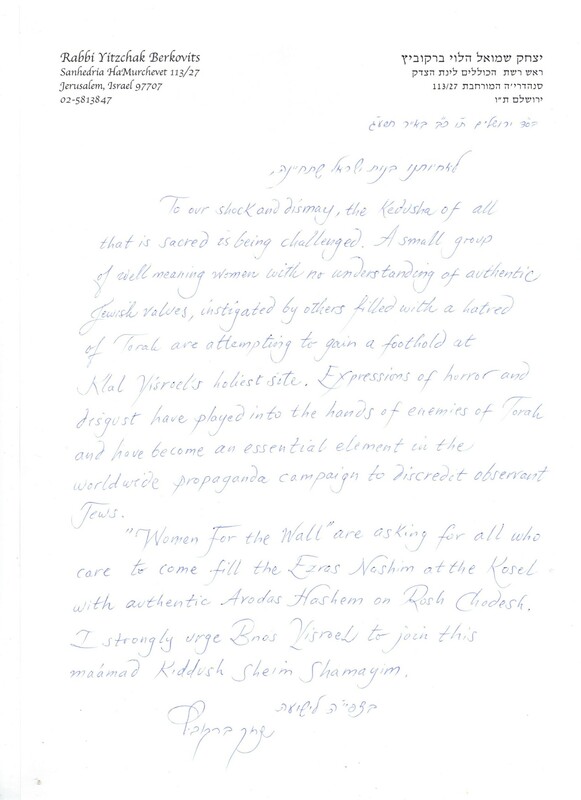 Women of the Wall’s demands include an anti-democratic ban on other organized groups, as well as a permanent cap on the size of the area for traditional prayer – along with the “right” to arrange for women to sing in the plaza immediately behind the men’s section without restriction. Additional demands include a contiguous plaza which would inevitably damage the existing archeological site, a state budget equivalent to the one currently available to the administration of the existing plaza, control over the development of the alternative plaza and the existing plaza (outside the separate prayer area), and a government commitment to augmenting the prestige of the new egalitarian plaza. The Women of the Wall did not show up as a group during the whole of Tishrei – a month so full of special days! These are women of the Wall? They are making so many unreasonable demands yet they only come to the Wall for about 11 hours a year! I suppose they need funding to buy a few brooms so that they sweep the floor. Anyway they are well funded from their followers in the US. Its all part of their scam.